Enjoy the creative culinary talents of the fun-loving, talented Micheff Sisters … as they serve up over one hundred recipes for savory soups, scrumptious salads and mouth-watering sandwiches. Linda, Brenda and Cinda have been cooking together since they were kids. 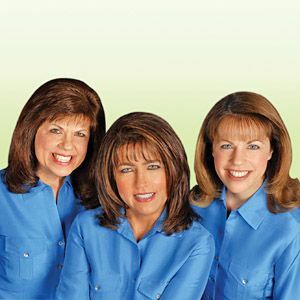 Now they are reaching millions of viewers each week with their nutritional wisdom, cooking expertise and a whole lot of fun and laughter on their popular 3ABN television program, Cooking With the Micheff Sisters. This new cookbook is packed full of their favorite recipes for simple, time-saving and unforgettable soups, salads and sandwiches. You will not only enjoy these delicious meals, but it will help simplify your life by saving time, energy and money while making every meal an experience shared… a memory treasured. Why not treat your family to a soup, salad and sandwich supper tonight that will leave them feeling fully satisfied and much loved. Filled with simple, budget friendly, satisfying dishes, this cookbook is a must for every cook. So what are you waiting for? Start making memories today!